Love 9055...elegant but totally wearable. 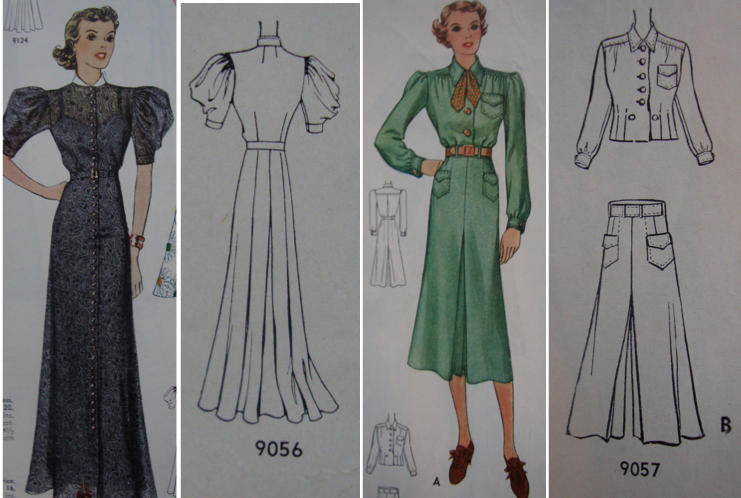 Oooh I love them all but I particularly love 9055 - that fancy neckline treatment is wonderful. I also love that housecoat - I would love to lounge around the house in something that glamourous - my husband wouldn't recognise me though! Ugh! You are doing a great job with all these pictures, I'm a fan of housecoats, no doubt ... comfort and elegance ... wow. Aww, I love the little girl's dress! 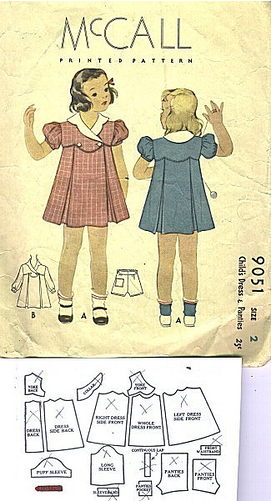 I love the little girl's dress... so much so that I googled the pattern to see if I could find it. Maybe someone can explain why I find completely different patterns (with the same pattern number) than the ones that are shown here. 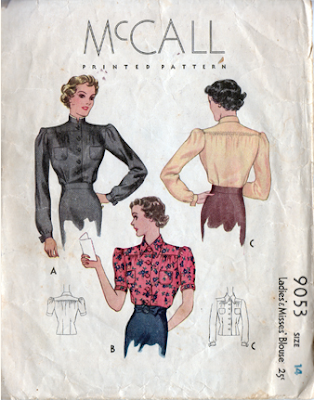 @thecurryseven...McCall (and later McCall's) reused pattern numbers....so you'll see similar pattern numbers for late 50's, 60's and 70's patterns! 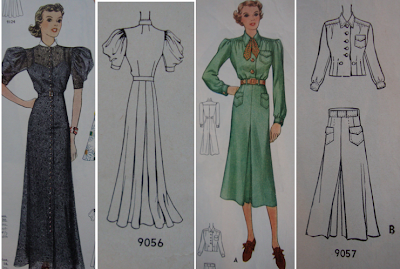 I have to admit that I am irrationaly influenced by the colors of the dresses in the illustrations. 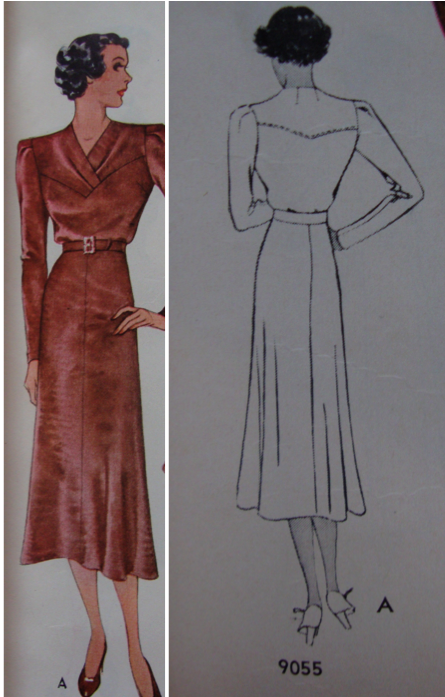 I know that I could sew a design in any color, but I seem to be drawn to certain renderings and then they remain my favorites. 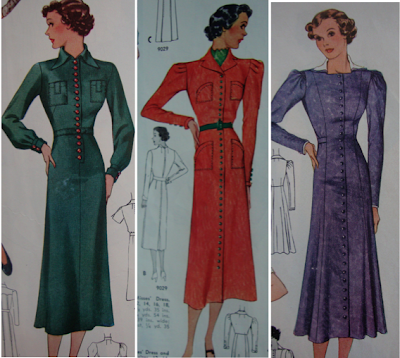 So for me it's the red dress in the center 9059--but I can't imagine sewing a billion buttons down the front and getting them all even ! I'm loving the shape of 9053, especially the short-sleeve version. Ooh, good luck! I'm pretty wowed by the last set of images with those amazing rows of contrast buttons, maybes it's because you don't see that kind of detail on modern clothing (aside from bridal wear) because it's too expensive to mass produce. So special. 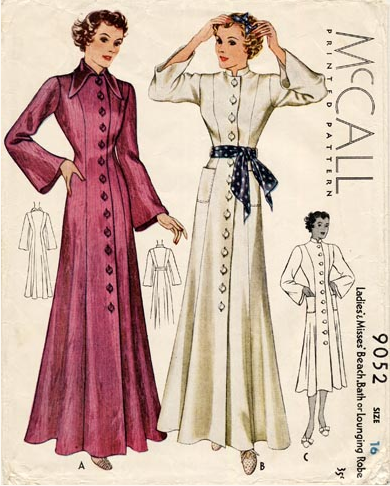 I never go for housecoats, although I must admit I could go for the long deep red one (9052) made in a heavier fabric as a winter coat, or in something silky as an evening dress.